While working on this place mat, I had some scraps of fabric left. Tiny ones really, not suitable for anything. Well, that's what I thought at first. You probably know how much I like using up any scraps of fabric, I hardly throw any pieces away. I keep them all sorted out by colours and sizes in a large box. When I have a "light-bulb" moment, I turn them into something useful. Same happened with the scraps from the place mat. I kept them on the work table and then... "light-bulb"! 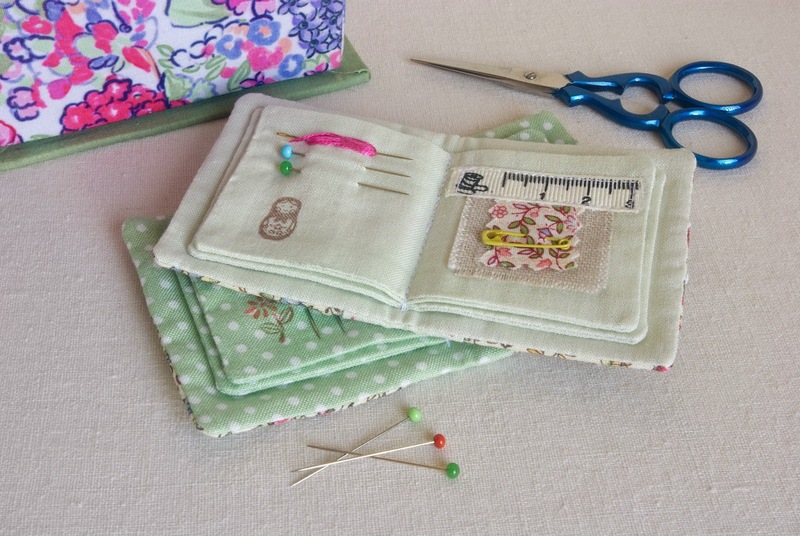 Why not sew tiny needle books?! Again? Yes. 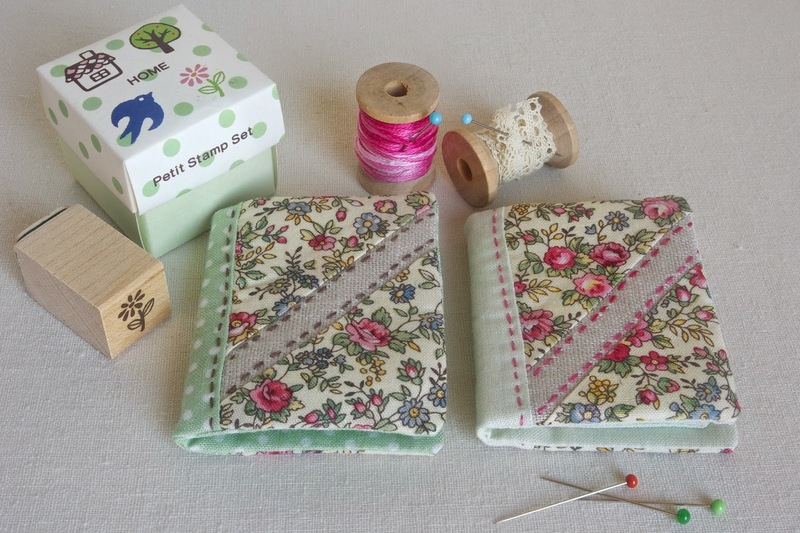 One can never have too many needle books and plus you can always share them with someone crafty. 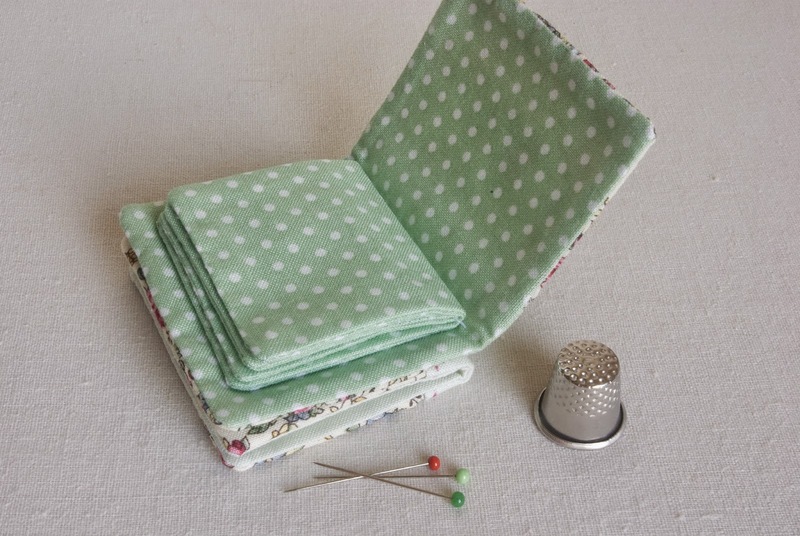 The idea of these needle books belongs to Amy at NanaCompany. But this time around, instead of using felt for the pages, I made them out of matching fabric. I find that fabric pages hold the thinnest needles more securely in place. Some decorations inside, just for fun really. Once again, for something like that the scraps are the best material. I like the "custom fit" ribbon, it came from a new shirt. You see, everything gets used up here. Larissa, as ever, amazing beautiful work! Thank you very much, Carole! Beautiful and so good to use up little pieces. You are clever! Thank very much! I just love working with tiny pieces. Ann, I am so glad that my work inspired you to create something new. It's amazing how one inspiration leads to another and it keeps going on and on. 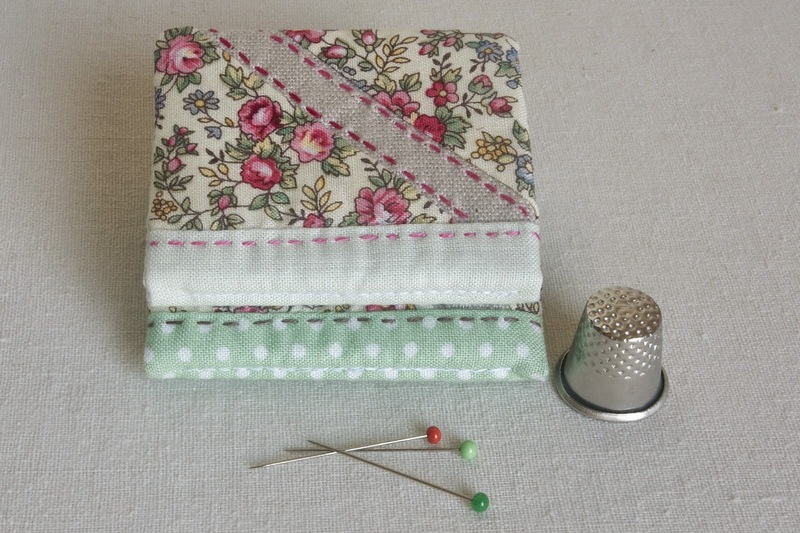 These needle books are so easy to make, they can even be sewn by hand and they are very addictive. Happy sewing! Amazing details!!! 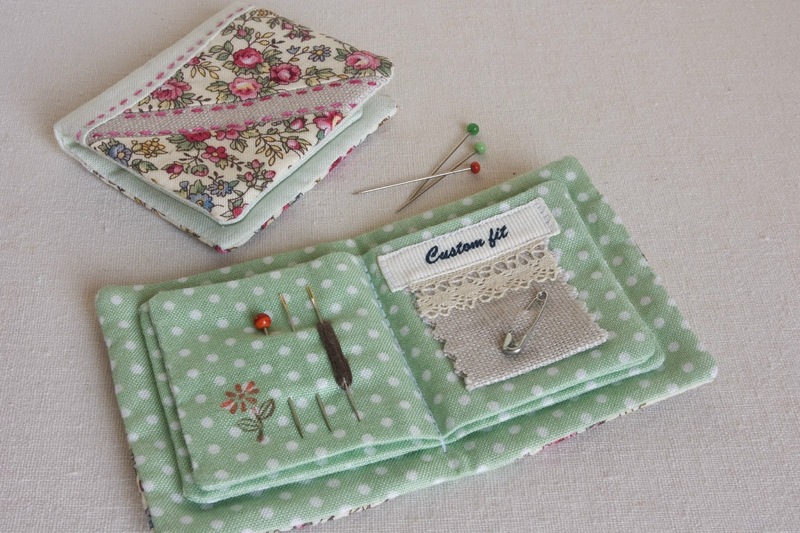 These little needle books are beautiful and how perfect to have gifts all ready to give!!! Thank you, Sharon! They are so easy and fun to make, you can add any little cute details to it to make it pretty.